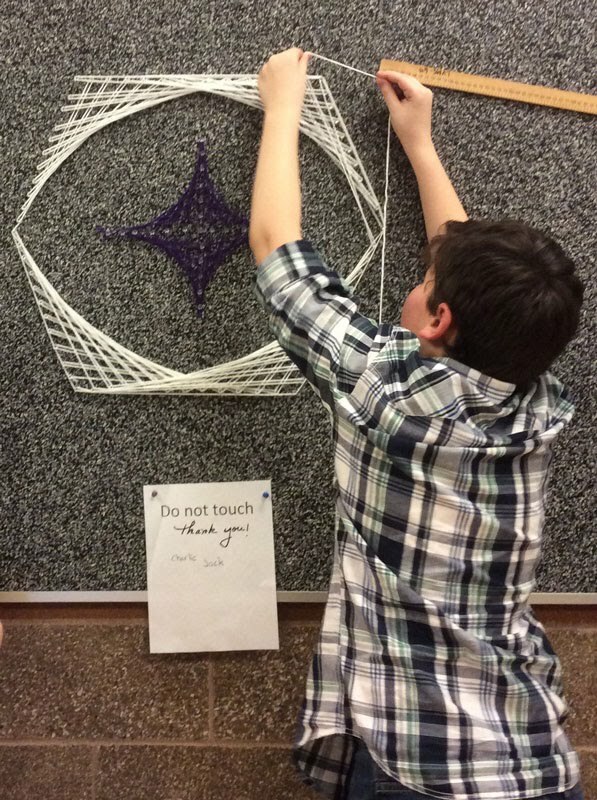 In Chief Umtuch Middle School's visual art classes, students learn about geometry in an engaging way by creating their own string art pieces. 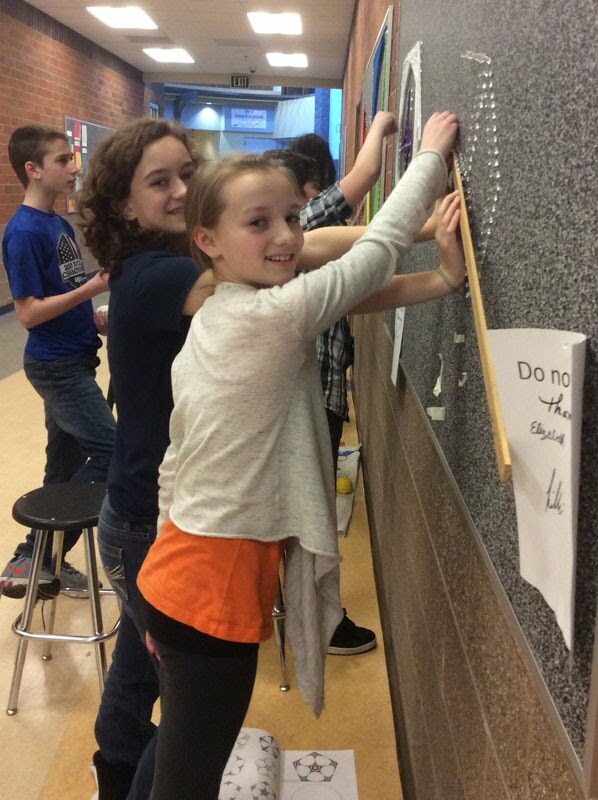 The seventh graders study geometric concepts, including vocabulary, and then create a line design with string and small nails. Art specialist Linda Peterson began teaching students the art of string design about 17 years ago after a visit to the Seattle Art Museum. At the museum, Peterson was captivated by a string art piece that looked like a bridge. At first Peterson thought its lines were curved, but she later discovered that math, science and art had intersected to form a geometric art piece with curves made from straight lines. Though the string forms straight lines between points, the different angles and positions where strings intersect give the appearance of curves. For the string design project, Peterson's art students begin with a 12-page line design packet that covers geometric concepts and constructions. Students go over the first three pages of the packet with Peterson to understand the process, and then continue independently. 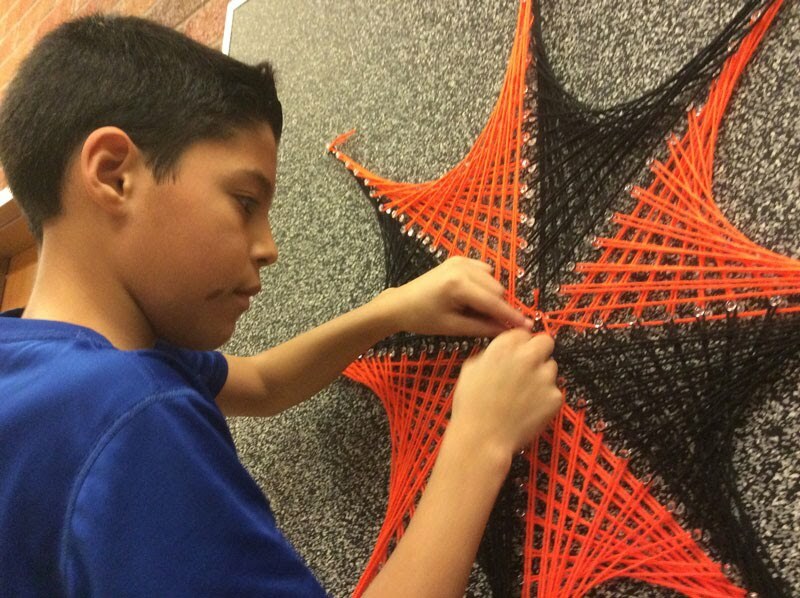 Students create geometric line designs and choose different colors of string to help maintain the visibility of the design's curves. "Creating these geometric designs gives students the opportunity to show creativity and imagination while using mathematics," Peterson said. "Taking our designs to a much larger scale has showed students the visual impact that the curves and colors of their work has on the onlookers in our school halls." 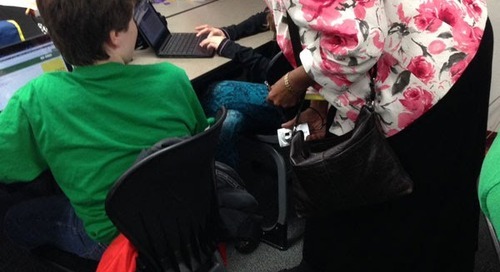 The string design project meets Washington State Learning Standards for art by teaching students to create, conceptualize, organize, develop, refine and complete artistic work as well as convey meaning through the presentation of their work. "My goal is for students to understand the intimate relationship between art, math, and science," Peterson said. "Art helps make math and science visible."